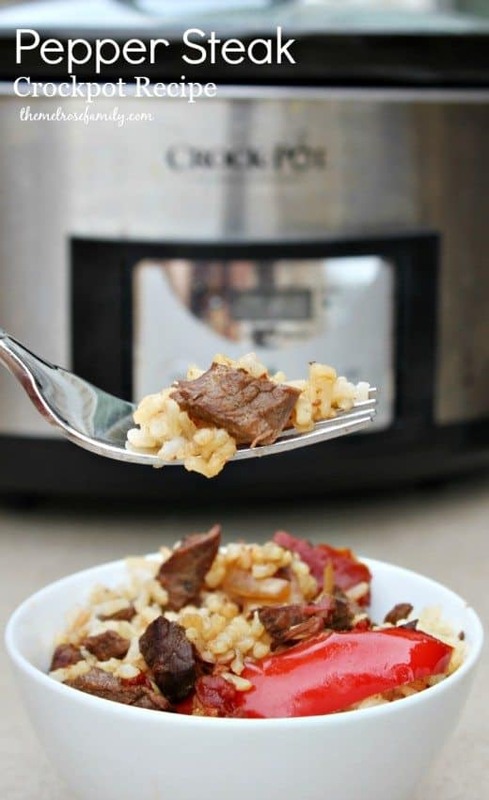 Sometimes getting everyone around the table isn’t as easy as it should be, which is why I love this super simple crockpot recipe. 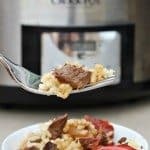 My husband loves pepper steak and this crockpot version of it makes it easy to get on the table even on the busiest of days. This is Riley’s first year in elementary school and with it comes a bunch of activities I wouldn’t have expected. Between PTA, Room Mom and Leadership Team meetings I’m busy heading to meetings. Plus, we found the perfect gym for the girls where they both take gymnastics and dance classes. Consequently, I’m not always home to get dinner prepared. It’s extremely important to me for my family to sit down together as a family and eat dinner, which is why I took the Take Back the Table pledge a few weeks ago. Take Back the Table is all about setting aside the time to sit down as a family and eat a meal together. 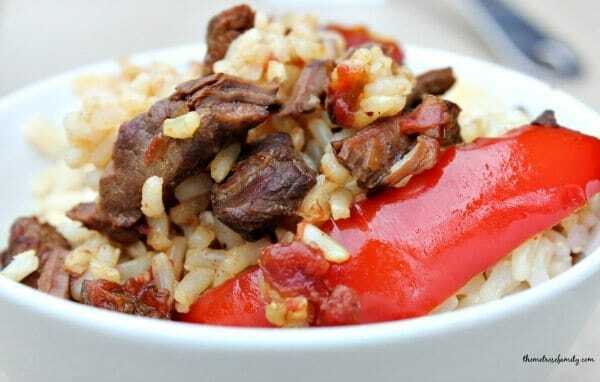 Recipes like this Pepper Steak Crockpot Recipe make it easy to do. All I needed to do was prepare the rice when I got in the door and it gave me the perfect amount of time to get Riley’s homework started. Due to our crazy schedule Mondays have become crockpot meal days and I’m even meal planning each week to make sure that it happens. My meal planning occurs Saturday or Sunday morning before I head to the grocery store. I choose six meals for the week and make sure that all of the ingredients are on my shopping list. I’ve found that having a meal each night makes it so much easier for us to get into the routine as a family. There’s no questions about whether meal time is something that we do as a family. It’s understood and the expectation. 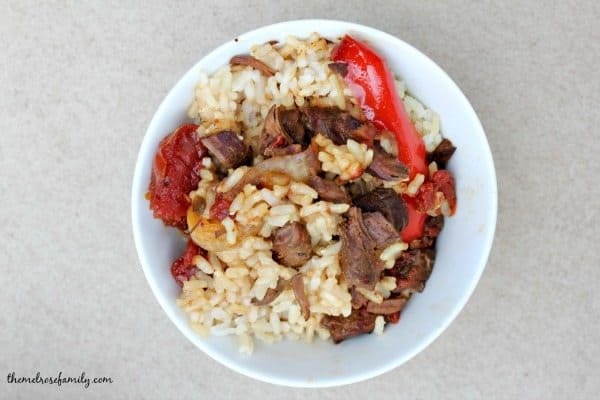 A quick and flavorful weeknight crockpot recipe. Sprinkle strips of sirloin with garlic powder then sauce in pan with vegetable oil to brown the meat and transfer to crockpot. Mix beef broth with corn starch and pour into crockpot. Stir in onion, stewed tomatoes, soy sauce, sugar and salt. Cook on low for 6-8 hours. Throw in red peppers for last two hours. Serve over rice of choosing. You can find out more on the Vanity Fair® Napkins Facebook and Instagram channels.